You’ve seen beautiful images of interiors in glossy magazines. You’ve seen beautiful furniture and accessories in retail outlets. 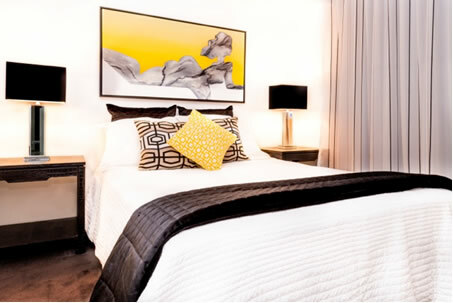 You’ve seen amazing transformations on TV shows such The Block, Reno Rumble and Home Rules. But how do YOU create a beautiful transformation in YOUR own home? By following a few simple tips from the team at Tailored Artworks, you’ll be on your way! Decide which items in the room are your favourites and are ‘must remain’ pieces. These might have sentimental value but are they out of date? Can these pieces be restored, reupholstered or repurposed? Decide which items you want to replace. Can these items be sold or gifted? Consider the size and shape of each of your rooms as well the natural lighting. It can be quite overwhelming to redecorate or renovate your entire home so do it room by room. The biggest impact can be made at the front of the house as this is what you see first. Redecorating the entry area and front living room can be a great place to start and can create a great WOW factor. The colours and style selected for the front areas can be used later to flow through to the other rooms in the house, so you need to get this right. A new coat of paint can make a big difference. The current trend in wall colours is to have a soft grey base to a fresh white. A fresh coat of ceiling white and a white semi gloss on the skirtings and architraves will make a big difference. What is your favourite colour or colours? Use these favourite colours as the base for your colour palette for your room’s furniture and accessories. Feature walls and wallpaper – A feature wall painted in the right colour will enhance the artwork hanging on that wall. Wallpaper can be a great choice on an entry wall. Artwork – The right artwork will express what is meaningful and significant to you. It can evoke the emotions and express your personality and style. Custom artwork is a great option and more affordable than you might think. Rug – Go for a statement rug that coordinates with your artwork. Select a couple of colours from your artwork and use these same colours in your rug. This will enhance the design style and atmosphere and create a dramatic statement in the room. Allocate as much of your budget as you can to signature investment pieces rather than buying lots of different temporary pieces. Your eyes will be drawn to these statement pieces so go for quality. You will have these pieces for many years to come. Fabrics – carefully selected upholstery fabrics, cushions, throws and window treatments will bring your look together. Lamps and feature lighting are not only decorative pieces but also add mood and ambience. Vases, flowers and ornaments will provide the finishing touches for your room but make sure you don’t overdo these accessories. The biggest mistake that you can make is rushing in and buying items which you’ve seen in a showroom or copying what someone else has in their house and thinking it will work in your home too. It may not! You need to carefully consider the natural lighting in your home as well as the layout of the home and size of each room. The people who live in the home, their lifestyle and the purpose or what each room is used for, are the essential things to consider before you start. Getting some help from the professionals can ensure you get it right. Just an initial consultation with an interior designer or decorator can put you on the right track and ensure you don’t make costly errors. Make sure you visit the team from Tailored Artworks for more great tips on art and colour.